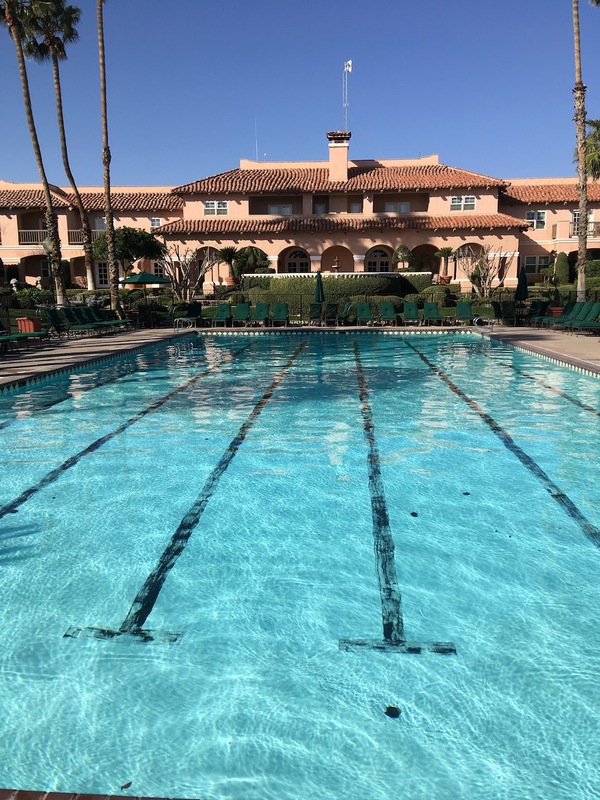 Located in California’s sparsely populated San Joaquin Valley is “an unexpected oasis,” the Harris Ranch Inn & Restaurant. It’s much more than a way-stop along a stretch of Highway 5 between San Francisco and Los Angeles. History: The Harris family has been farming in California for over 100 years. They established one of Imperial Valley’s first cotton gins in 1916. By the 1930s, the Harris Ranch was founded. The restaurant originally opened in the mid-1970s as an outlet to serve their beef, decades before the current farm to table trend. The Inn at Harris Ranch was built in 1987 and further developed in the 1990s. Additional upgrades were completed in 2014. Today: The full service, smoke-free resort features 153 rooms and suites, all with flat-screen TVs. There’s complimentary Wi-Fi, parking, and coffee/tea available 24/7 in the lobby. The California hacienda style architecture is enhanced with beautifully landscaped grounds, including a heated 25 meter Olympic size pool. The restaurants serve homegrown fruits, vegetables, nuts and, of course, beef, all raised on their 17,000 acres of farmland. The fine dining Prime Steakhouse is a meat eater’s delight, showcasing the best cuts from the famed Harris Ranch. The rustic Ranch Kitchen is a casual place to go for breakfast, lunch, or dinner. The lively Horseshoe Bar serves lunch and dinner, featuring its own Harris Ranch IPA. There is live music on the weekends. For a casual outdoor meal (or carryout), try the new Express BBQ. The restaurants serve, on average, 1,500 customers a day. 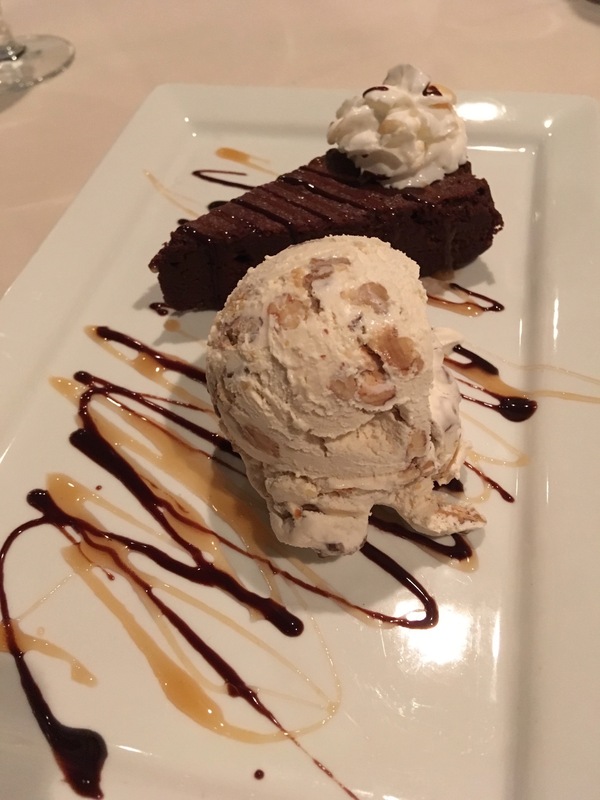 Always save room for dessert! Don’t miss the Harris Ranch Country Store which sells an array of distinctive food items, gifts, bakery goods, fresh produce, and has a meat counter. Their high quality beef is also sold online, and in supermarkets throughout California. Today the Harris Ranch is one of the largest family owned agribusinesses in the US. A surprising discovery, indeed! For more information, logon to www.HarrisRanch.com or call 559-935-0717. Birthplace of a Champion: In February 2011, California Chrome was foaled at the Harris Ranch’s thoroughbred horse division. In 2014 and 2016, he was named the American Horse of theYear, after winning the Kentucky Derby, the Preakness Stakes, and the Dubai World Cup. With over $14 million in earnings, California Chrome is currently the third all-time thoroughbred money winner in the world (#1 in the US). Thanks to various websites for background material, photos, etc. 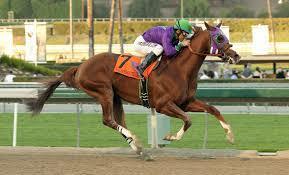 This entry was posted in California and tagged california, Chrome, Harris Ranch, travel. Bookmark the permalink.